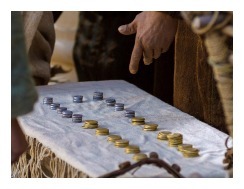 The story of Jesus and the moneychangers brought out a side of Jesus we don't often witness. We'll discover how it reflects on how we present God through our bodies, God's new temple. Please read John 2:14-22 before starting GraspingGod.com's free Bible study lessons, #2.12. 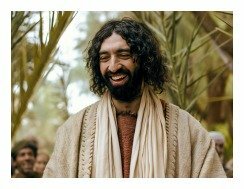 1) Did Jesus get angry? 2) What is righteous anger? 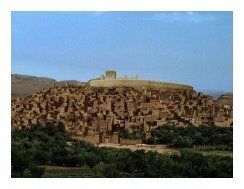 3) Where is God's Temple located now? Hey there! Welcome back to another enlightening Bible study. Get ready to hear about a side of Jesus you may not have realized existed before this situation at the temple. One day, not all that long ago, the people at the Jerusalem temple witnessed a disgusted, angry Jesus. 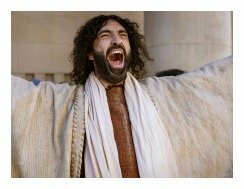 And the moneychangers and livestock sellers experienced an enraged Christ. Now, let's set the scene. The Jewish Passover was Judaism’s main festival and it occurred every year at about the same time we commemorate Easter. All Jewish males were expected to attend the events of Passover in Jerusalem. They celebrated their exodus from slavery in Egypt, so there was a lot of symbolism involved. The most pertinent to our passage today is the cleansing of the home in preparation for Passover. Every Jewish family would clean their home prior to the event. The main reason for doing this was to find every piece and every crumb, of leavened bread. They wanted all remains of it out of the house. 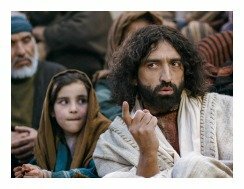 Of the same order, Jesus went up to Jerusalem prior to the festival. He wanted to make sure the temple was prepared for the festivities that were soon coming. What he found when he arrived was disgusting to him. There were merchants selling animals for sacrifices in the outer courts of the temple and there were money-changers exchanging money for temple visitors. It ticked Him off and he did something about it. Jesus and the moneychangers were nearing a serious confrontation. Keep in mind that the temple was nearly 500 yards long and over 300 yards wide – it was huge. It was also a breath-taking building. Its brilliance was written about by secular and religious historians from that era. Jesus arrived here by himself at either AD 27 or 30. He walked into the temple and immediately saw what appeared to be a marketplace. Merchants brought cattle, sheep, and birds into the court of the Gentiles to sell them for sacrifices. People were coming from out of town and many didn’t have the means to bring in their sacrifices. So, the sacrificial animals were made conveniently available by this group of profiteering businessmen. 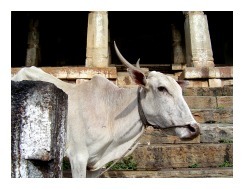 Picture the raucous scene: Large farm animals inside the temple courtyard. They make lots of noises when they’re hungry and I guarantee you they were very hungry. Why would these merchants feed them if they were going to be sacrificed anyway? The animals were leaving their barnyard messes all over the temple floor, stinking up the place. The temple had become a place of business - the courtyard looked like a stockyard! This is not what God envisioned for his temple and Jesus was seething. There were also money-changers set up to help with out-of-townees coming in who had to pay the temple tax. The whole temple establishment had by this time become an elaborate, but corrupt, economic system that preyed on the poor. The Roman politicians conspired with the Jewish religious leaders to turn the temple into a huge business enterprise. Jesus knew that the honorary Chief Priest Annas and his son-in-law, the High Priest, Caiaphas were profiteering from this unholy racket. These men had a financial monopoly taking advantage of those whose religious sentiments led them to worship the Lord. This situation was despicable to Christ. The main offense by these merchants was the fact that they were interrupting the Gentile worship that was supposed to happen in the court. If they would have set up shop down the street Jesus wouldn’t have laid a hand on them. But this particular temple courtyard was God’s mission field for visitors to come and worship him. Gentiles were killed by the Jewish guards when they entered the temple beyond this court. Here they could pay tribute to God, but these merchants were desecrating the court and ruining the spiritual atmosphere of this holy place. The religious leaders and businessmen, in fact, ruined God’s intent for the temple. Jesus saw this atrocity and became disgusted. He made a whip out of rope and went to work. He whipped and drove out the cattle and their owners. He whipped and drove out the sheep and their owners. Can you see him?! He must have looked like a cowboy chasing and whipping these animals. Then Christ’s rage turned on the money-changers. Jesus and the moneychangers got into a heated exchange. 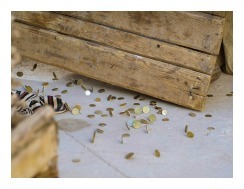 He poured out their money and dumped it on the floor. He toppled over their tables. Can you imagine the sheer racket and commotion this caused? Jesus was cleaning house and he had an attitude! The attitude Christ displayed was not sinful. It was pleasing to God. Jesus' attitude was a righteous, indignant attitude brought about by unrighteous religious leaders (aka religious hypocrites). The scene was mostly described as being between Jesus and the moneychangers, but Jesus attacked many things here. He attacked the breaking of the 1st Commandment. What I mean is that these merchants were desecrating the temple, so, they were not honoring God. They were honoring their own personal god of mammon. These men were undoubtedly greedy because they were exploiting those who couldn’t bring in sacrifices. The animals themselves were probably unworthy of being sacrificed to God. 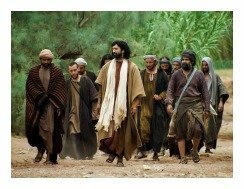 By the temple leaders allowing this to take place in the Gentile’s Court, it revealed that they didn’t care about the outside world. This idolatrous practice proved that the missionary spirit had left Judaism. Jesus showed himself a true prophet here. This was a courageous move he made. It took confidence. It took boldness. It took passion. It also took authority. This was an act of the wrath of God. It was a pure, righteous anger directed at blatant sin. Some say that all sins are equal because they all bring offense to God. But, biblical accounts such as this prove certain types of sins to be worse, because of the way God reacts to it. The 1st three Commandments are on top of the list for good reasons and the breaking of those Laws seems to be the ones which enrage God the most. Believe it or not, Jesus was in the exact same place at 12 yrs of age, as he was here at 30 - in the Jerusalem temple taking care of his Father’s business! I might add, the Father’s business is spiritual, being rooted in the mind of God; while the merchant’s business is secular, rooted in the god of mammon. Jesus and the moneychangers were operating in two different worlds. The money-changers were trespassing into God's spiritual kingdom. After hearing about Jesus and the moneychangers' fracas, Jesus' disciples remembered Psalm 69:9, which says, “Because zeal for your house has consumed me.” Many feel Psalm 69 is a Messianic Psalm and I’m one of them. It’s about a righteous sufferer, showing that it is proper to be zealous for God. Zeal is a passion that is grounded in jealousy. Sometimes zeal is out of character and out of line in people’s lives. But we see here in the book of John, that when zeal is directed at honoring the Lord, it is good and proper and productive. The temple housed the glory of God for a time. Jesus respected and honored it. He put his life on the line here as he did what he knew he had to do. This zeal consumed him and he could only do what his Father wanted. Jesus was in total submission to him. Let’s imitate Christ. Let’s direct our zeal towards God's kingdom, as well. Pentecost came soon after Christ’s resurrection and ascension. The Holy Spirit came at that time and began indwelling those who gave their lives to God. And you see what happens when God indwells something - it becomes his temple. All of a sudden, the disciples and other fellow believers became temples of the living God (1 Corinthians 3:16-17). Christ had become the temple, having the Spirit in full measure (John 3:34). Now the temple has expanded to the believers in Christ (Acts 4:31). God’s Spirit dwells within us (Ephesians 3:16-17). That’s important. This is exactly why we no longer have to go to the temple in Jerusalem to worship – because God lives within us. We can worship him in Spirit and Truth, right? That’s it! It’s a new day. We can worship God in our home, on the way to work and in a worship service – anywhere, anytime. [note: this point is not intended to be an excuse for not attending church]. You can liken our bodies to the temple. The Most Holy Place, our heart, is where God dwells. Our outer courts, our mind and extremities, are where the sacrificing takes place. In other words, our lives must be an ongoing sacrifice to the Lord God, both in mind and action. Finally, the Gentile Court is where our witness to the outside world takes place. We are to help others and show them Christ in us. We now have the obligation to bring glory to God through our bodies – from the inside out and the outside in. The Jerusalem temple was for worship, sacrifice, instruction, and prayer. The new temple, which is our body, is to emulate this arrangement. We are made to worship Christ – to offer thanksgiving and to sing his praises. Our bodies are meant to be in a constant state of sacrifice – that means we offer up our tithes (aka giving) and we give up useless, worldly pleasures and ideas. We are to be under authority to people who give us instruction in the word. Our thirst and hunger for God’s word should be a daily desire. And our lives need to be continuously in prayer and communion with God. His Spirit has now overtaken our spirit and he has become the Lord of our life. Picture the temple scene which included Jesus and the moneychangers' exchange. Envision Jesus cleaning out the temple of your body. See him running out your sinful habits, whatever they are. Notice his whip cracking at your sins and idolatry. Listen to his angry voice protecting God's temple - your body. Let him drive out your sinful behaviors and thoughts. Let Jesus clean your temple. God is saving us, one by one, and drawing us together into a community. For this reason Christ started what the Bible calls the Church. He is the foundation, the chief cornerstone and the head of it. We should be able to understand that he is in charge of it and he governs it, personally. The book of Revelation shows that Christ travels throughout his churches keeping an eye on them, judging them based on his word. He reads the motives of everything the Church is doing, judging the Church accordingly. The local Church is not the temple; the temple is not the Church - don’t confuse the two. The temple was made up of inorganic stones; the Church is made up of living stones, which are us. God no longer dwells in buildings made of stone, but in people who have been saved by him. They are the true Church. We call a building where we worship God a church, but it’s not the Church in the biblical sense. The biblical Church is the totality of all saved people. Jesus and the Moneychangers - Grasp This! 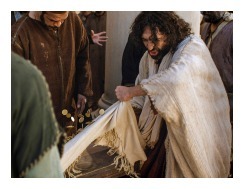 We saw today that Christ visited the temple at the time it was the house of the Lord, and it angered him. He entered the temple and condemned the secularization of it. Jesus and the moneychangers' raucous exchange reveals God's hatred of greed and idolatry. People turned the worship of God into a business, infuriating him. Our personal, physical bodies are now his temple. 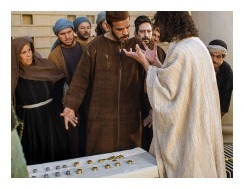 Greed, idolatry, and sinful behavior are not wanted by Christ in his Father's temple. Rid yourself of sinful behavior. We saw that he also visits where his people gather – the local congregations. When he visits our churches, how do you think it looks to him? What’s he see when he lays his eyes on us? What are the motives behind what each of us do here in our own churches? Do we rely on Scripture alone as our guiding light, or on man-made documents and worldly business ideals and practices? Do we turn church into business or politics? Mercy, I hope not. Jesus is into the Father’s spiritual business. He’s a reformer in the truest sense of the word. When you open up the doors to him, he will come inside renewing, reforming and reviving you. Jesus is knocking at your temple door, waiting for you to swing it wide open. He wants to save you and live with you for eternity (Revelation 3:20). 1) How do you feel knowing that your loving Savior can get angry? Jesus and the moneychangers' activities were startling, but revealing. 2) Knowing that Christ respects and defends his Father's temple against earthly business and secularization, does it make you view yourself any differently since your body is the new temple of God? 3) How do you view a person who is "networking" his professional life within a local church? If you disagreed with him would you confront him? reveal my greed and idolatry. Help me to be fully In Christ. After sharing this Bible study lesson on Facebook or Twitter below download your FREE printable Bible Study Lessons (pdf version): Jesus And The Moneychangers, Lesson 2.12. Please Donate To GG.com! Special Note: I'm grateful to Big Book Media & Free Bible Images, Stock Exchange, Morgue Files, and Stock Photos For Free for the use of their photos for Jesus and the Moneychangers.